Rutgers University School of Law – Newark, J.D. 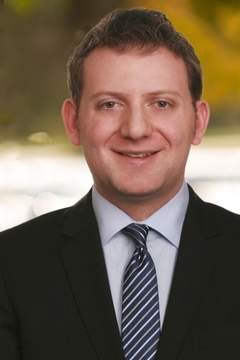 Eric Carosia is an associate in the firm’s Litigation and Trusts and Estates groups. Prior to joining the firm, he served as law clerk to the Honorable Walter Koprowski, Jr., of the Superior Court of New Jersey, Chancery Division, General Equity/Probate Parts. During his clerkship, Eric gained experience in complex business and probate litigation, where he now concentrates his practice. Eric has also completed internships at the Appellate Division with the Honorable Ellen L. Koblitz, J.A.D., at the Tax Court, with the Honorable Vito L. Bianco, J.T.C., and at the Essex County Prosecutor’s Office. While at Rutgers, Eric worked as a student attorney at the Rutgers Federal Tax Law Clinic, served on the Moot Court Executive Board and focused his elective coursework and volunteer activities in the fields of trusts and estates and taxation. All Rights Reserved. Prior results do not guarantee a similar outcome.